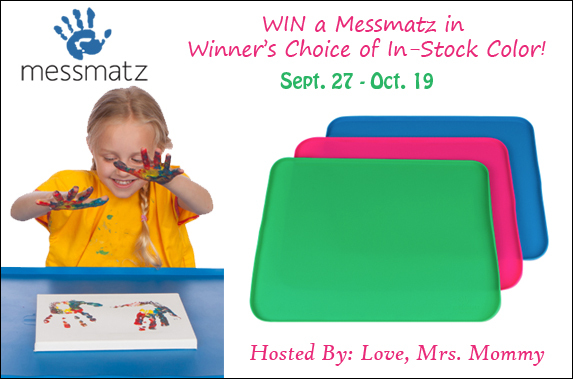 A Messmatz in winner's choice of in-stock color (blue, pink, or green)! Up to a $32.11 RV! 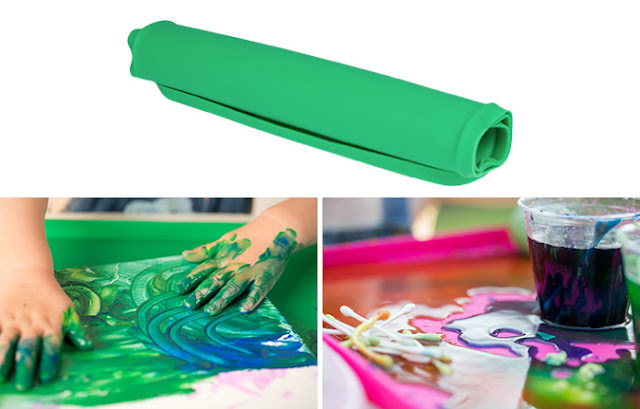 What kid doesn’t love to play, create, and make a mess? I know my daughter does and she could definitely receive a gold star in this category. I like her to have fun, but sometimes the clean-up can be quite the challenge, or just a plain old hassle. That’s why I love Messmatz! I seriously think that if you have a child, you should own one of these!